Recent legislation introduced in 2017 means you can now be charged up to 150% of your weekly wage should you be caught speeding and up to 6 points on your licence. Supplied by a the Dutch company, Gatsometer BV, specialists in using radar since 1971. Their latest speed camera operates within the 24 Gigahertz band, making it one of the most universal cameras around the globe. 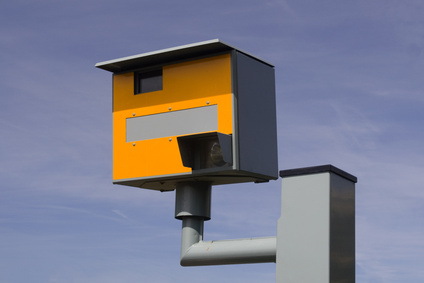 Although these are the most common speed cameras around, they are also the easiest to detect due to their fixed position. This allows us to plot their locations on our GPS database to give plenty of warning in advance. These cameras also emit a radar signal which is also detectable by some of our units. These cameras are rear-facing and use a combination of radar, flash and road-markings. When the radar detects a vehicle moving faster than the programmed speed, it triggers the camera which gives two flashes precisely half a second apart. This takes 2 photos of the rear of the vehicle which is used for confirmation of which vehicle was exceeding the speed limit. Truvelo cameras are less common than GATSO cameras. These units are one of the few fixed forward-facing cameras here in the UK. 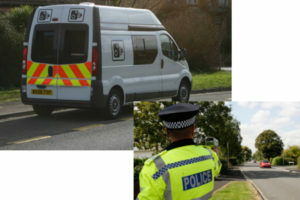 They work using pre-installed pressure strips on the road ahead and use infrared flash, so a driver may not be aware that they have been caught until the notice comes in the post. The accompanying photo will be very clear and because it is taken of the front of the vehicle, it is easy to identify the driver. 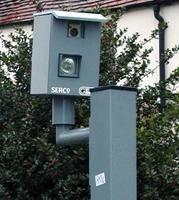 These cameras are used to catch both speeding vehicles and also red-light jumpers, depending on where it is located. Although these cameras do not emit a radar signal, their locations can again be easily mapped on our substantial GPS database for alerts well before coming across them, because of their fixed nature. The SPECS system works by taking vehicles average speed. Using number-plate recognition technology, the SPECS cameras work in pairs, a starting camera and an end camera. The two cameras are placed at a set distance apart and the system works out your average speed based on the time you take to reach the 'end camera'. Offenders are then tracked down using the DVLA and PNC computers and fined accordingly. This type of system can often be found around temporary road works or through a long tunnel. SPECS cameras are again fixed in position, meaning once in place will tend to remain in the same location for quite some time and can therefore be easily plotted onto our GPS database for prior warning of these. Most speed camera units will tend to alert the user for the duration of the SPECS camera distance. Laser (Light Amplification by Stimulated Emission of Radiation) is commonly used on the mobile units. Normally targeted from a handheld laser gun, these devices use a narrow focused beam which can accurately single out a vehicle in an oncoming group. As these units are only activated when the trigger is pulled, laser is one of the most difficult speed readers to detect. The laser travels at the speed of light, meaning if you have been targeted, the operator will receive an instant speed reading back to the gun. Unlike radar, the laser requires a good stretch of unobstructed road with view of oncoming traffic, therefore operators tend to use the same locations which means we can add these to our GPS location database to alert our users of these "hotspots". 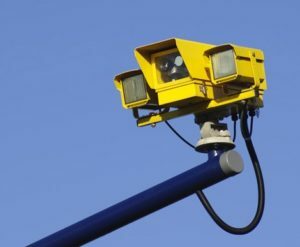 The Red Light Camera (RLC) are as their name states, cameras which are located at certain traffic-light junctions to catch drivers 'jumping' red lights. They work in a similar way to the GATSO cameras, however they are linked to the circuitry of the traffic lights and use an inducted loop which is embedded in the road surface just after the traffic light STOP line. When the lights turn red, this loop will set the camera to detect any vehicles passing over it, thus catching red light jumpers. The camera will flash twice in quick succession, giving 2 photos for evidence of the offence. Although RLCs are slightly smaller than the standard GATSO and often grey rather than bright yellow, they are again at a fixed position, meaning their locations are all easily mapped on our GPS database for prior warning before arriving at them. 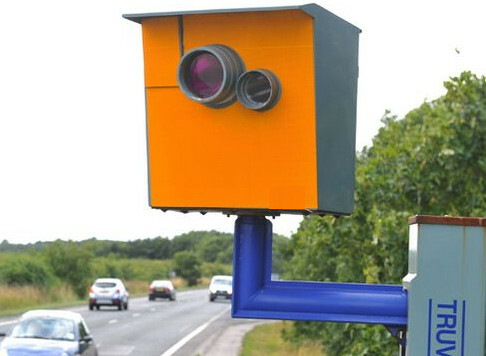 One of our best weapons against speed cameras is our substantial and comprehensive GPS database. The database stores all the known GATSO, Red Light Camera, SPECS and "Hotspot" positions. This is combined with the GPS location of the unit and the unit alerts the user to the proximity of the camera or hotspot. We work tirelessly to keep the information on the database as up-to-date as possible and are always releasing new updated versions. 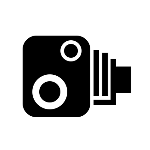 Some cameras are temporary, so are only up for certain roadworks or events so we also rely on our customers using the "Report A Camera Location" option on this site to enable us to upload these locations to the database. 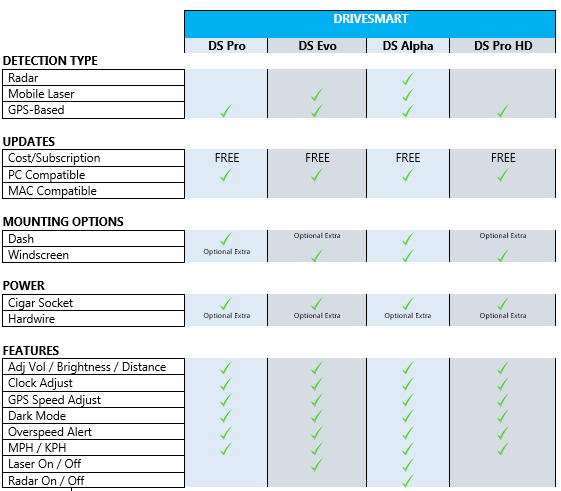 All our Drivesmart units have a GPS database installed as standard. Radar Detection on a unit is often used as a secondary option alongside the GPS database. A radar detector can pick up the signal being emitted from the GATSO cameras ( Ka Band) so can give the user an extra warning and also detect if the camera is actually 'live' or not. The downside to using Radar Detection is that many other day-to-day devices also use radar, such as automatic doors and pedestrian crossings, meaning users can be subjected to "false alerts". Drivesmart units are one of the first to incorporate "SmartRadar" which only turns on the Radar Detection function when a camera location is being approached based on the GPS location. This means alerts will only be for live cameras and effectively filters out the false alerts. As we outlined in the laser speed camera section, laser is the most commonly used method of the mobile speed units. They have the advantage of being able to locate themselves almost anywhere, but to use the laser speed gun, they need a clear straight ahead, unobstructed view of oncoming and departing traffic. Therefore, the same location is more than often used. The laser speed gun itself does not emit any signal until the trigger has been pulled by the officer. For them to target your vehicle, they will need reasonable suspicion that you are speeding. So you can see why these guns are so difficult to warn about. Laser detection functions on our units are often combined with the GPS database to give the user the best chance of receiving a warning. Having a laser detector alone is not as comprehensive. Laser travels at the speed of light, therefore if you receive a laser alert on your unit, you have more than likely already been targeted. 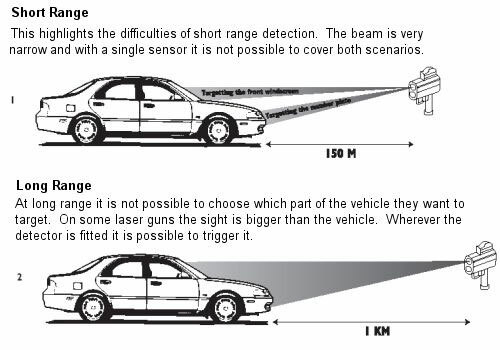 The illustration below explains how positioning of the detection unit and the speed gun can determine if you receive an alert at all. One way which the laser detection can help to alert you would be if vehicles up ahead are being targeted. This may produce some laser scatter which could be picked up by the laser detector and allow you time to slow down.